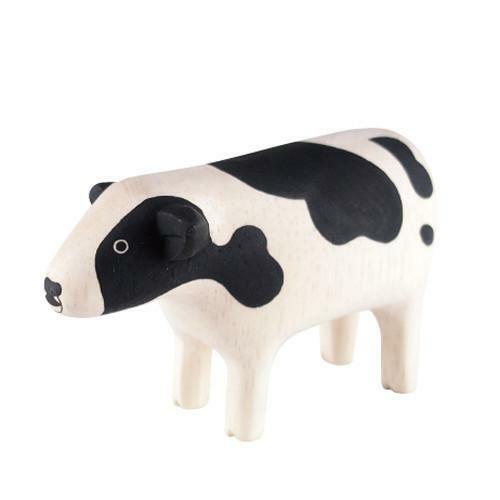 Flip is a small travel-size alarm clock with two faces. 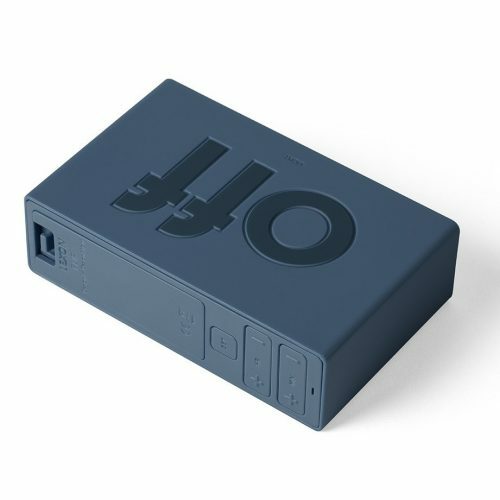 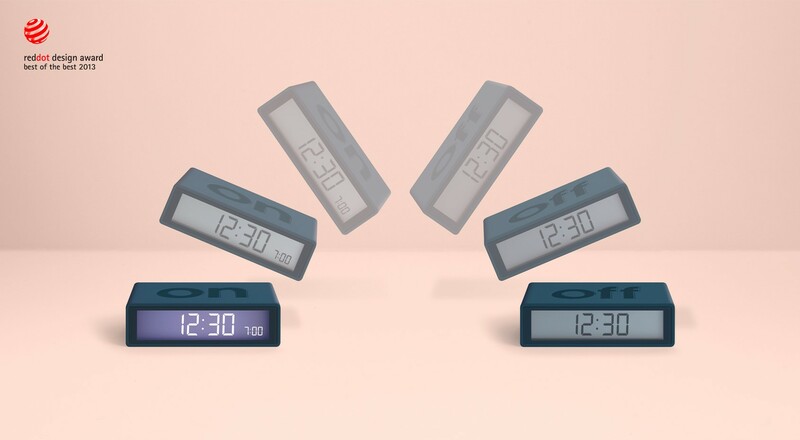 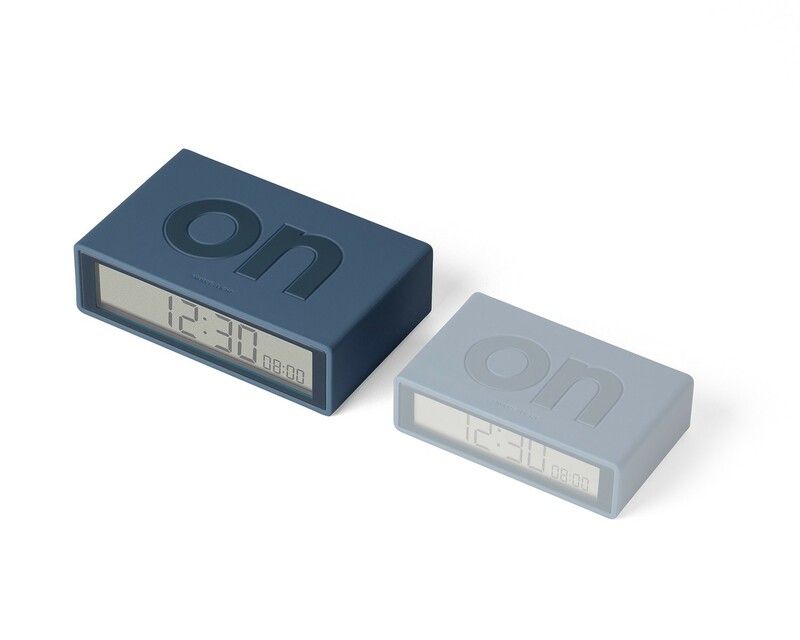 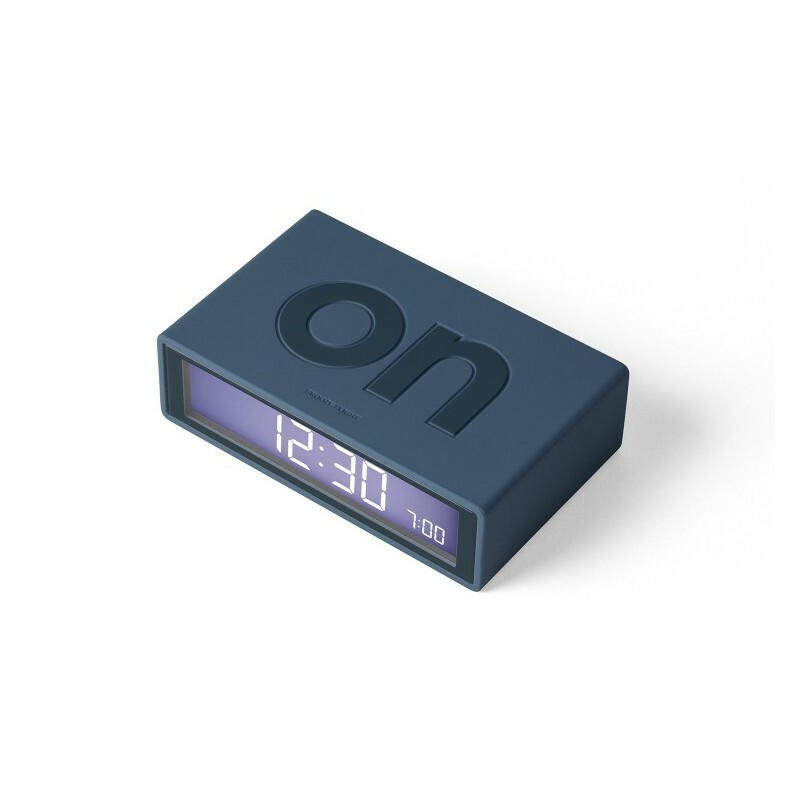 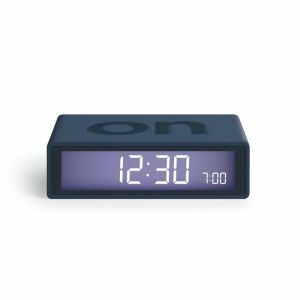 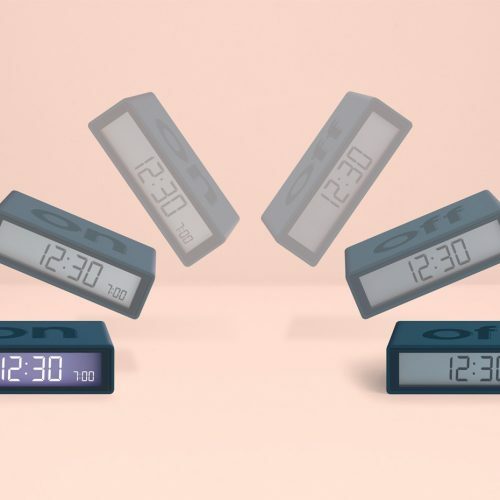 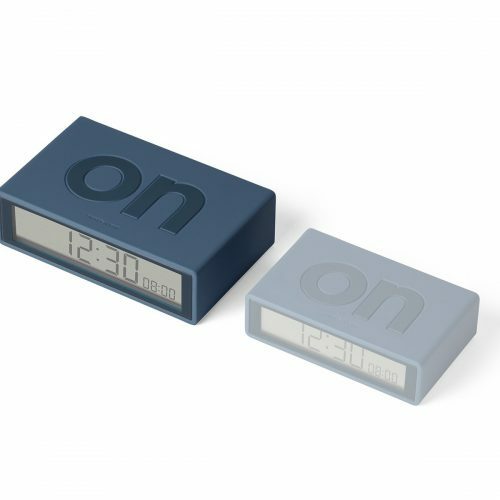 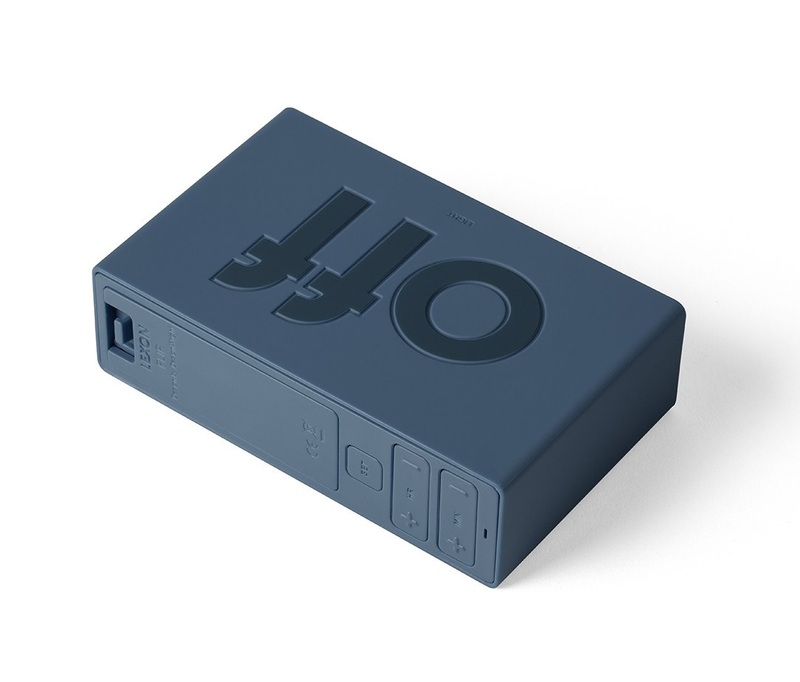 When “On” is facing upwards, the alarm is on and it will display time on the left and alarm time on the right. 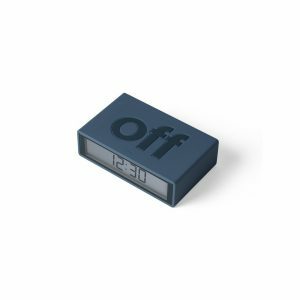 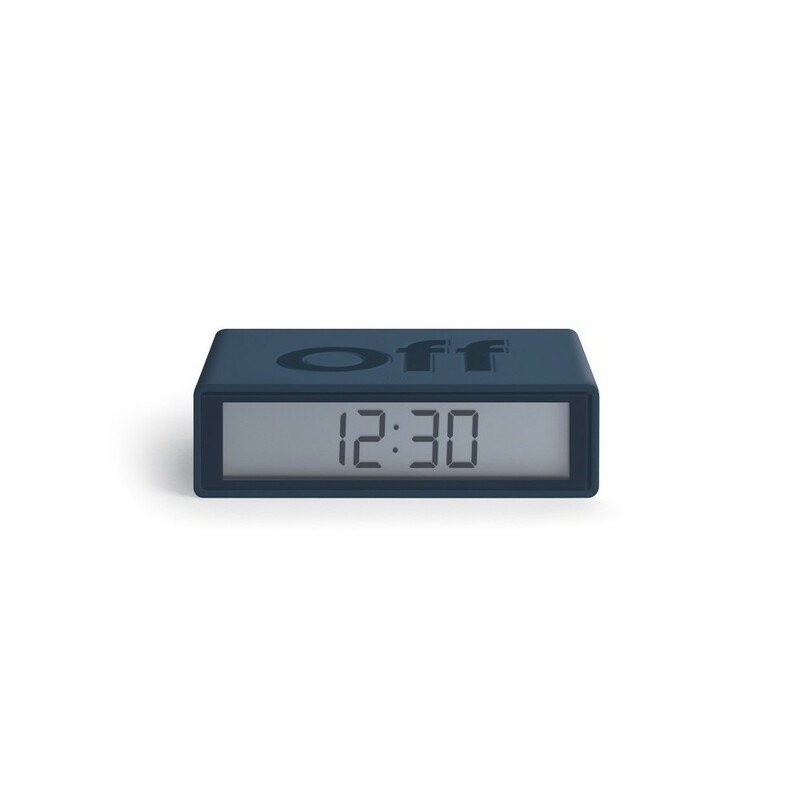 When “Off” is facing upwards, the alarm is off and only the time is displayed.